You have officially beat me and won the Fortis badge, well done, good luck on your journey to the battle the champion. Well done.. still annoyed that cradily got frozen. No matter, you've earned the victory. 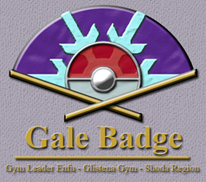 It looks like you took on one of the harder gyms to secure your second badge. Good luck with the rest of your journey! You're one step closer to reaching the Champion's spot! With you persistence and drive to defeat me you overcame one of the harder gyms in the Shoda region.You didnt give up after your first loss and learned from your mistakes so congratulations on defeating me and obtaining the Sky Badge you earned it! Congratulations, you've won the Igneous Badge. Coffee has defeated the Beetle City Leader Rambo!